Originally known as Tillman’s Corner, Tillman’s Roadhouse has been at the heart of the Bishop Arts District since 1992. Upon stepping foot into Tillman’s, it’s easy to see this restaurant is run by an insanely talented team. From the menu chock-full of elevated Texas favorites, to the ornate interior (don’t miss the peacock room! ), the considerable attention to every detail is impossible to ignore. Tillman’s takes familiar regional dishes and brings them to the next level. Take the classic tater tot, for example. At Tillman’s you’ll find this appetizer made with truffled goat cheese and pickled okra. When it came to choosing a dessert, the table side s’mores seemed the obvious choice. Not only are they delicious (and made completely in-house–marshmallows, graham crackers and chocolate), but it made for a delightful and unique dessert dining experience. There’s nothing like roasting your own s’mores in a place like Tillman’s! 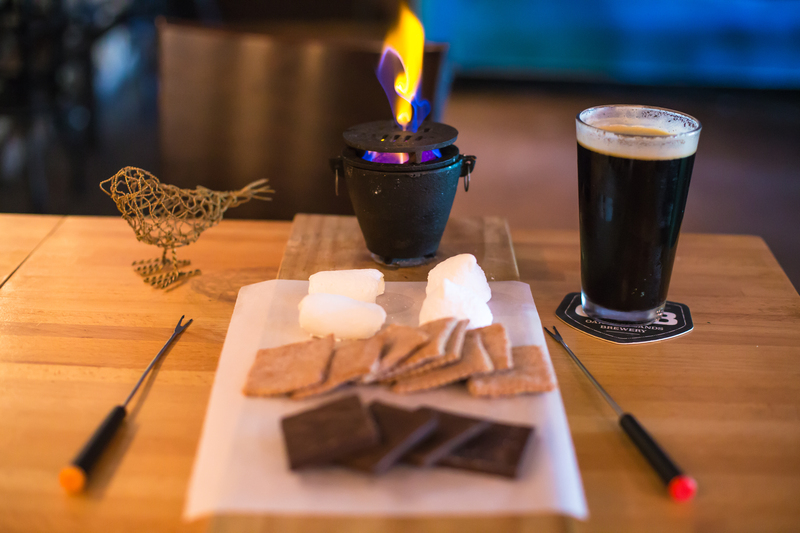 Here’s what we recommend: The Table Side S’mores paired with OHB Vanilla Porter. The marshmallow flavors rotate, but we had the cotton candy and maple marshmallows and they were divine!